LinkedIn, which has been focused on creating a better overall experience, has just announced some major improvements for Group Search. Currently there are more than 1.2 million groups on the social network. 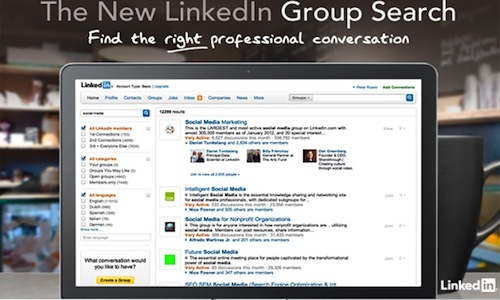 LinkedIn Groups are created by people who want to share common professional interests. Group Search aims to help members find and engage with relevant topics — which range from real estate to fashion. 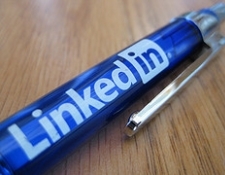 Instead of relying only on the title and description, LinkedIn will provide results based on how well your search matches the conversations happening within the Group. This should help to filter out inactive Groups. Additionally, new search filters have been added, including network, categories, and language. The company will also highlight Groups that your connections are a member of. Personal recommendations can really impact discovery, so this is beneficial not only as a member looking to join a Group, but also as an individual with a Group to promote. It appears that these updates are still being rolled out; however, LinkedIn provided a preview so you can see the new feature in action.